Almost (but not quite) MIA - Let's keep that in the sanctity of your brain, shall we? Thatcher IMO could relate to the dog that we've seen on set; in canon, John had a dog named after a prime minister (Gladstone) but of course I could be way wrong. 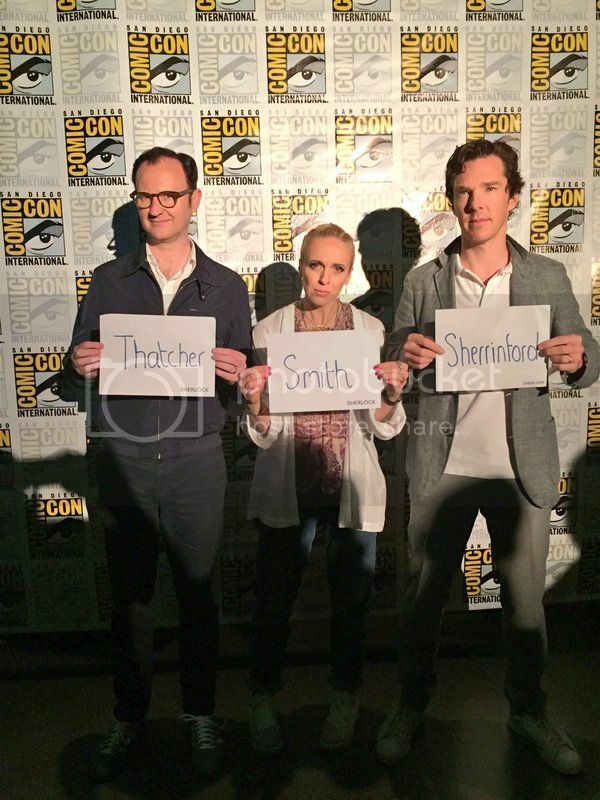 Smith is the villian, I believe, and as for Sherrinford - could relate to Mycroft's comment in HLV about "the other one" when talking about his brother? Aargh, so long to wait! Here's the teaser trailer, under a cut to avoid spoilery spoilers.